‘Sam’ has been a house framer for almost thirty years. He has raised two children. He is looking for work. 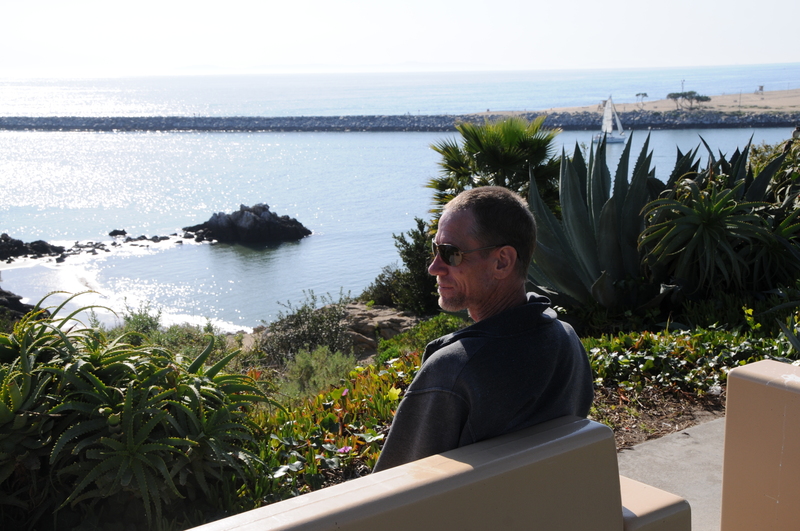 We sit on a public bench in Corona del Mar in the city of Newport Beach in California. Before us spreads a magnificent view of the Pacific Ocean. The temperature is balmy. A light breeze lifts off the ocean. “You save your fruit. Apples, oranges, peaches, apricots, grapes, mostly canned stuff. Save sugar from the packets from breakfast. Save bread. For the yeast. It helps if it’s a little older, maybe a little mold on it. Then we all get in his cell. “Came up with the plastic bag. Everything goes in. Sugar, water, fruit and bread. But you got to hide this stuff too because it takes a week to ferment. You hide the bag in the toilet. A little string, you know, inside. No one uses that toilet for the whole time it’s in there. So when you’re fermenting that’s shut down. The guards never really looked that hard if you kept to yourself. “We could never wait. It tasted horrible. But you could tell there was alcohol in it. That’s how we made jailhouse wine.